There are times that the essence of a situation may go over one’s head, and one is amiss to the point and may still care less for having missed the point. That should not be the case when acknowledging the ascent of the fashion designer that is Virgil Abloh. 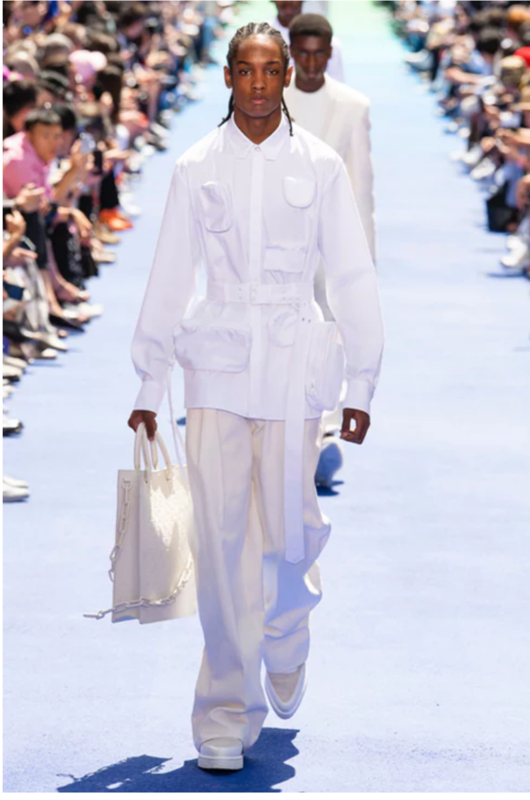 Abloh debuted his collection in his role as the first person of colour to sit as artistic director for historic French fashion house, Louis Vuitton, during Paris Fashion Week. He is the first black man to become artistic director in Louis Vuitton’s 164-year history—let that sink in. The collection, titled Colour Theory, lived up to its name. 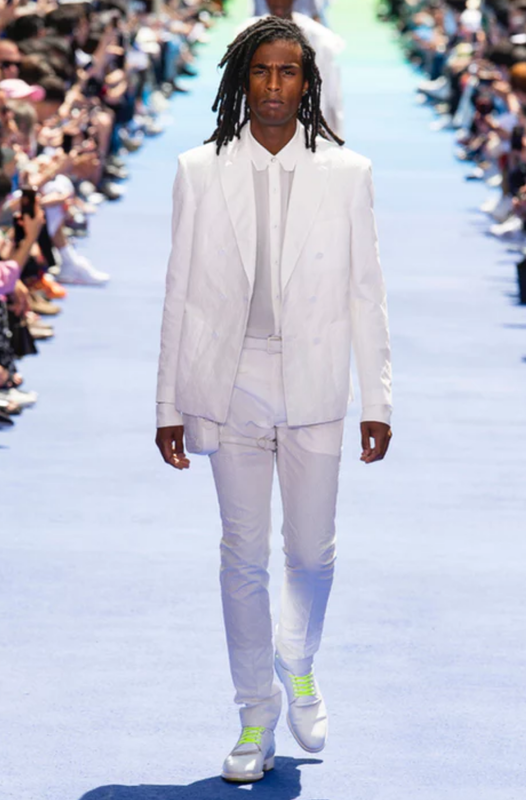 Abloh’s designs began with a flow of young black men, festooned in pristine white tailoring, elevated by what Abloh refers to as “accessomorphosis”, which he described as the transformation of accessories into wearable garments. 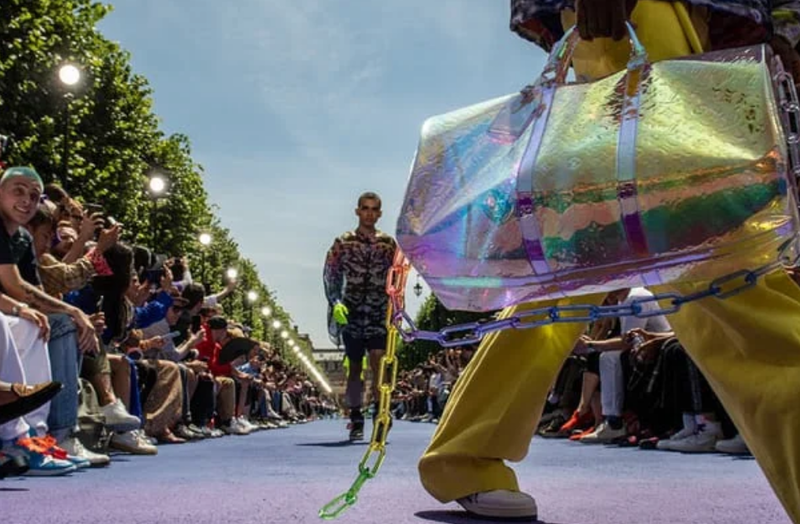 This essentially made up the signature that was stamped masterfully across the 56-look collection that graced the spray-painted, multicoloured runway on Thursday at the Palais-Royale gardens in Paris. 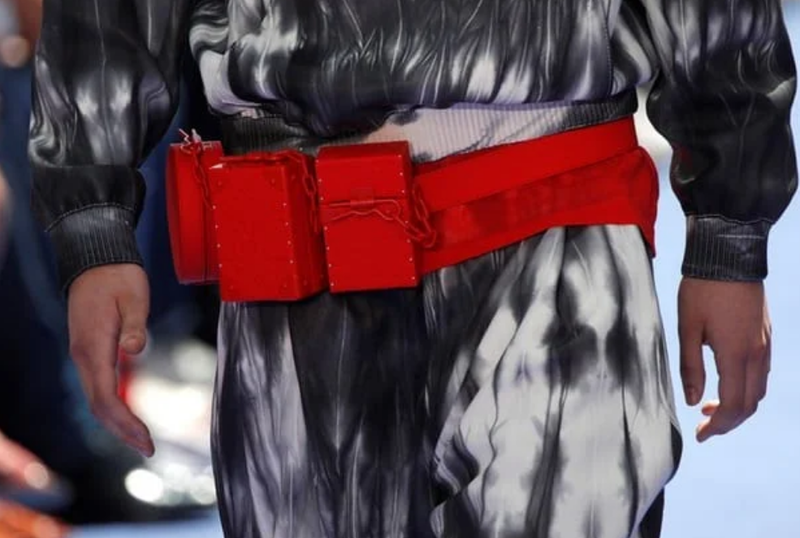 Some believe this to be Abloh’s way of paying homage to the company’s long-standing love affair with accessories. 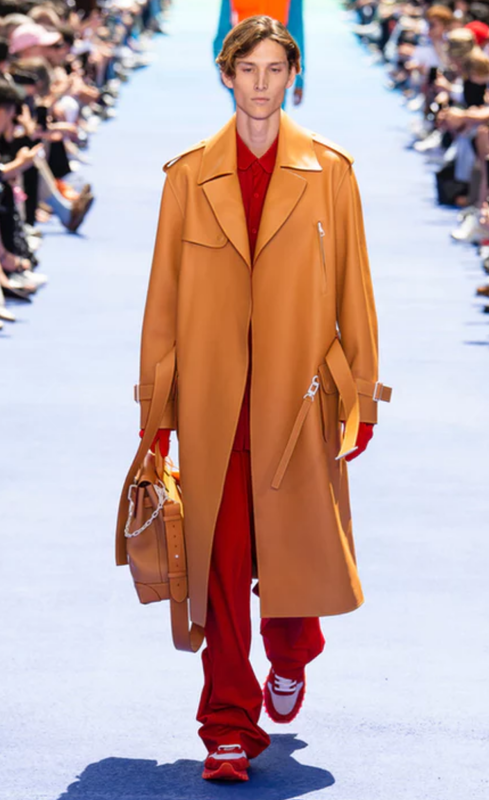 The designer reimagined some of the Louis Vuitton classics such as the large Keepall and the Petit-Malle. These classic designs were reworked in hues of red, green, and prismatic plastic. We wait in heightened anticipation as we observed what designs would become the new-era classics. It’s a new dawn and it’s a new day! 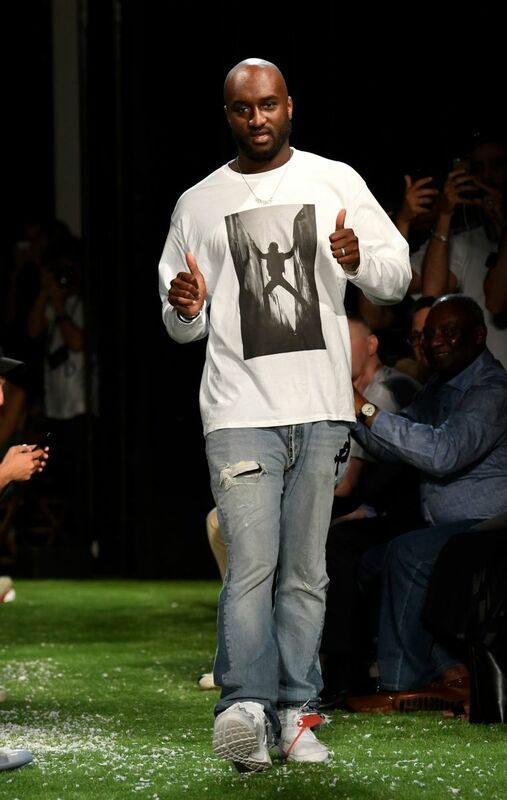 Here are some reasons why Abloh’s debut show was everything we hoped it would be and more. The vibe is sartorial, meets utility. 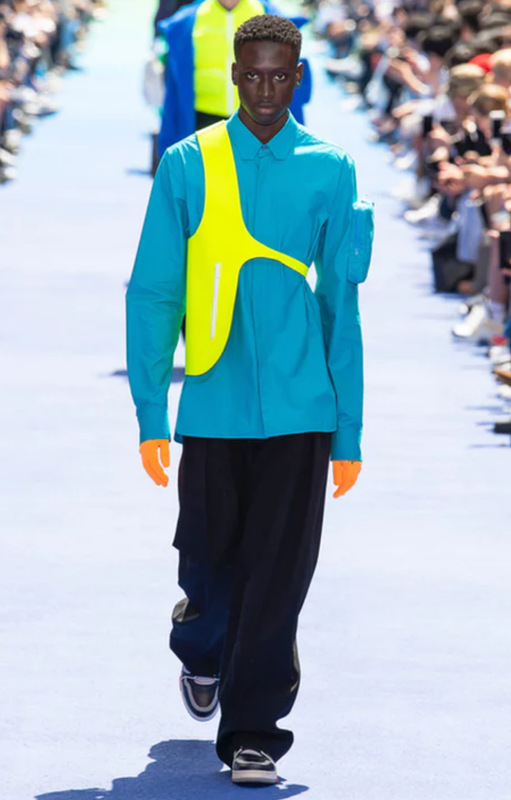 It is mixed with street-wear and a secret sauce that only Virgil Abloh can concoct. 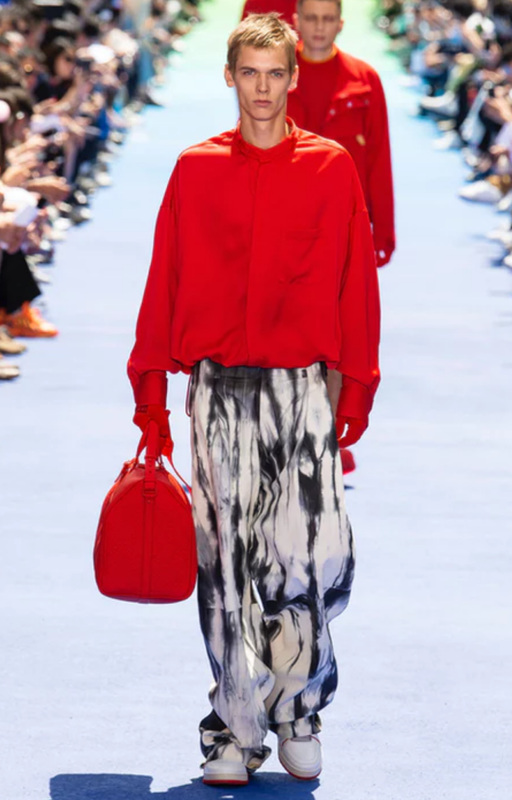 There is much to be said for the monochromatic white looks and eye-popping reds that graced the runway. Dare I say, red never looked so good! 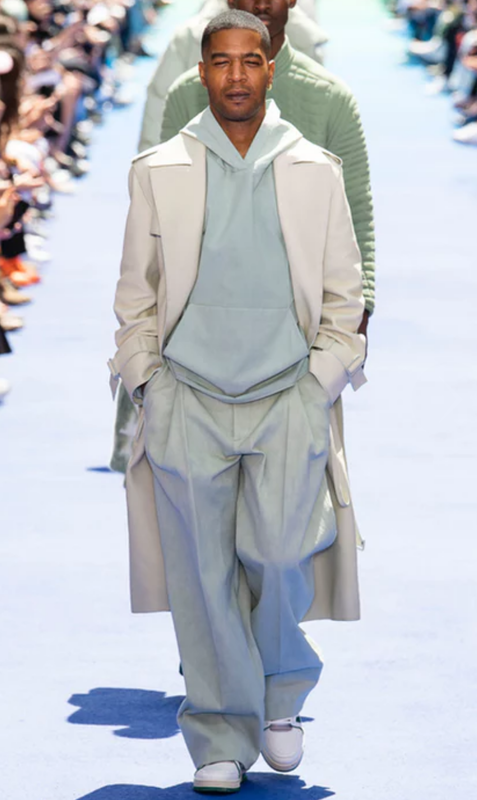 It is commendable how Abloh combines colours in a way that transcends the colour blocking trend. 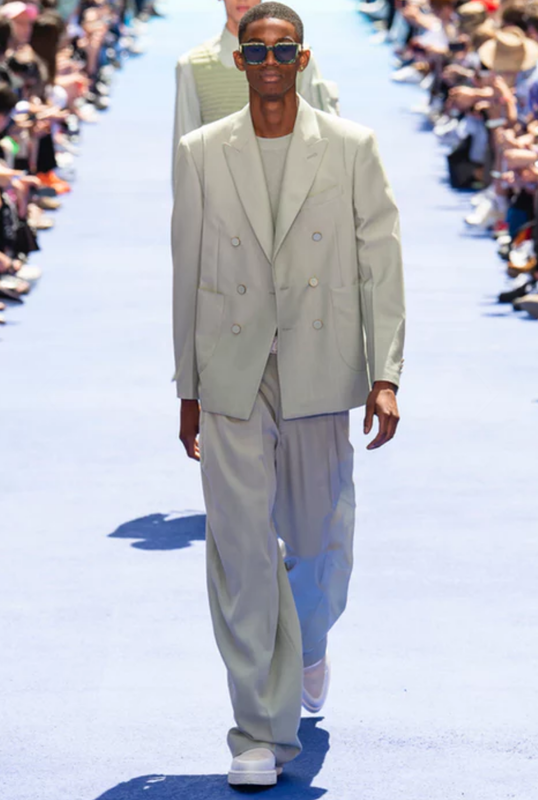 A beige jacket against a neon green vest is the stuff of sorcery because one does not simply conjure up such a combination in the manner and style that Abloh does. The intelligence of contrast and masterful simplicity is the pièce de résistance of this debut and, of course, the beaming gloves. 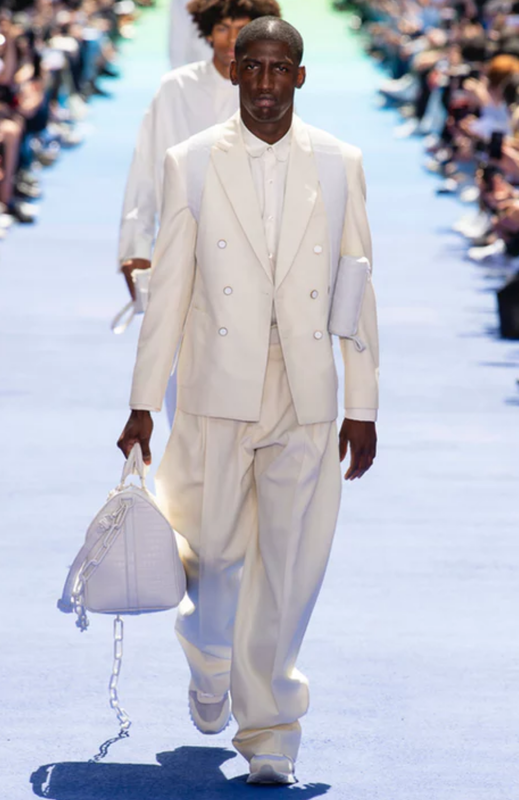 To commemorate the grandness of the new-era of Louis Vuitton, Virgil Abloh brought out a star-studded audience to grace his debut menswear collection for the fashion house. Among the stars was his friend and mentor, Kanye West, who shared a tearful and impassioned embrace with his protégé. 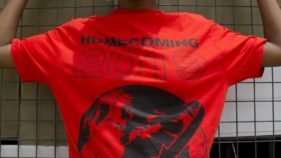 Other celebrities who came out to honour and support the trail-blazing designer include Rihanna, Kim Kardashian West, Bella Hadid, Kylie Jenner, Travis Scott, ASAP Rocky and Rita Ora, amongst others. 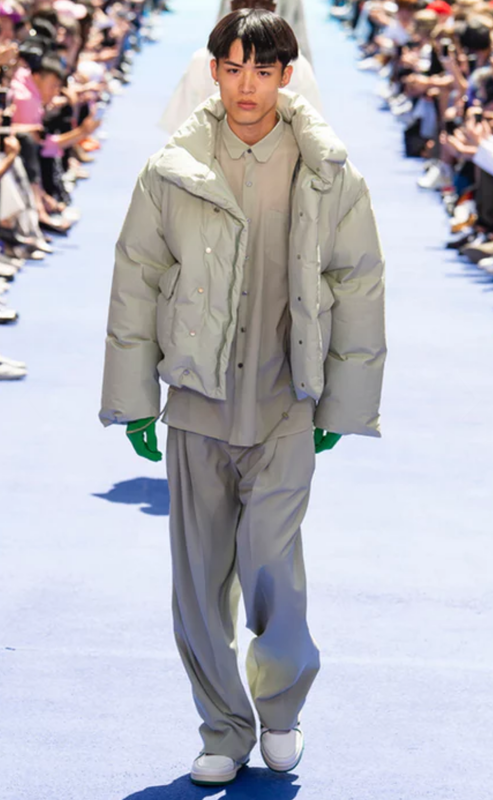 Abloh is a man focused on inclusivity and diversity and this was exhibited via the model line-up which was a literal representation of every continent in the world, save Antarctica. 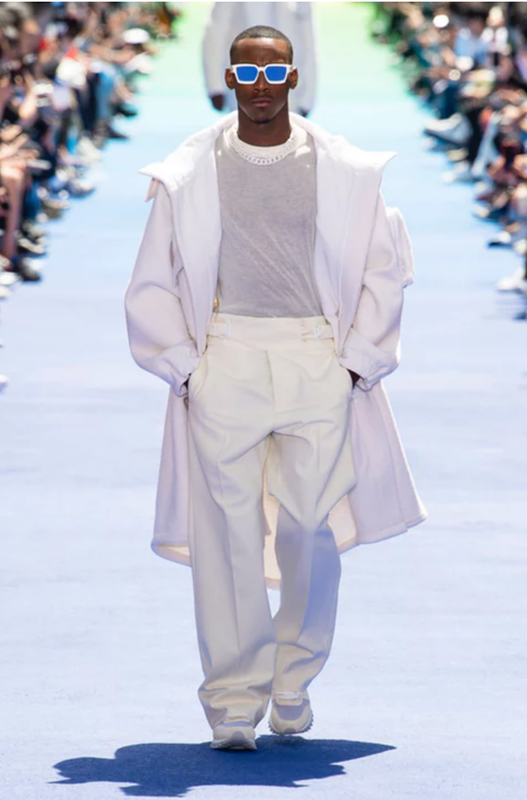 What is not to love about watching young black men draped in immaculate whites, motioning with swagger on a multicoloured catwalk? 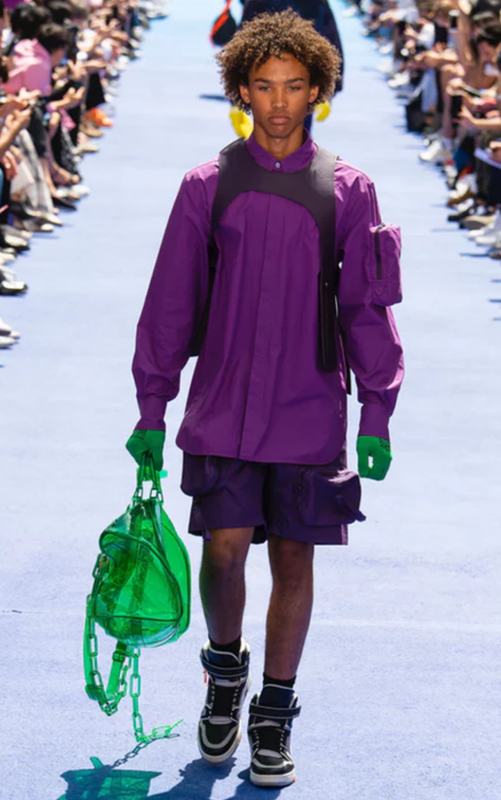 His level of thought and representation on a runway is unprecedented, much like Abloh’s ascent to the heights of the fashion industry, having obtained a degree in architecture and not fashion. 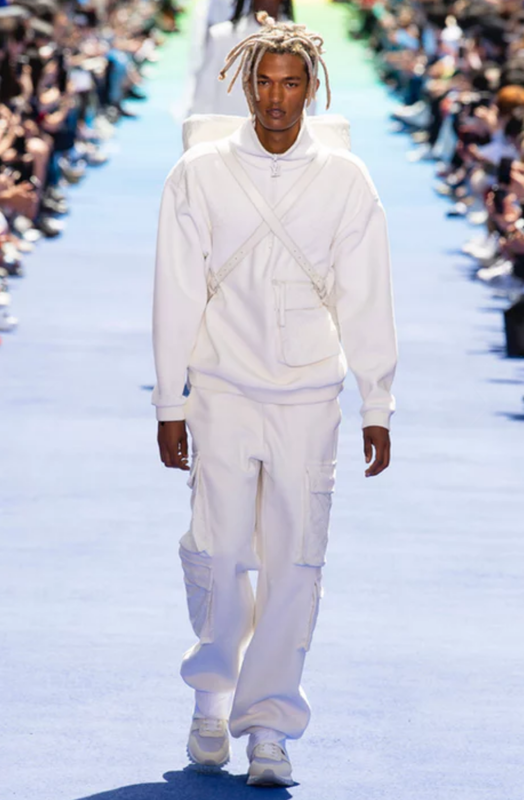 Abloh said earlier in the year, “tides change when positions evolve.” Right you are, Virgil. 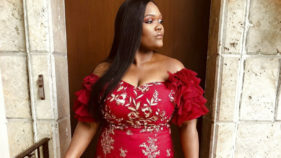 In case you ever need a reminder or a sign that those big, tall, out-of-your-league dreams are not impossible or far-fetched because you can achieve them, then this is it! This is the sign! Root for yourself and the world will root for you. It is worth reiterating that the son of Ghanaian immigrants, Virgil Abloh, has become the first black artistic director of one of the oldest fashion houses in the world. If you ever thought dreams don’t come true, perhaps this little tale ought to change your mind and then blow your mind up.